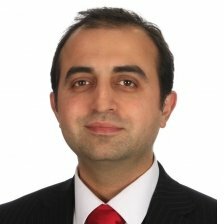 Arash represents the Office of the CTO in the UK & Ireland Region for Dell Technologies. Arash serves as a Field CTO, supporting the overall go to market strategy across the full breadth of the Dell Technologies Ecosystem. Prior to joining Dell Technologies, Arash held senior roles at Intel Security, VMware and other leading technology vendors in the hi-tech sector.